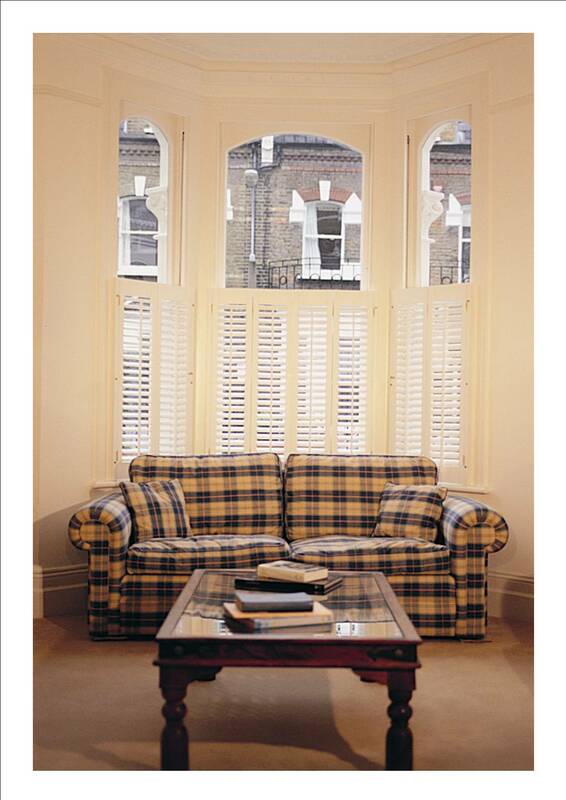 Plantation shutters are todays iconic interior design feature, shutters allow you to adjust the ambience of the room, by giving you almost infinate control of the natural light. Affordable, style, quality, beauty, sophistication and value. Made to measure, to suit virtually any window or door style including arched, sloping and special shapes.Tracked versions available for larger window and door applications. All shutters come with a 3 year warranty. Available in four slat widths, and a wide range of standard paint or stain colours, or can be paint finished in any standard Dulux or Farrow & Ball colour to match or compliment your decor. Shutter panels that fill the full height of the window or door, options include fully louvred panels or with louvred top panels only and solid bottom panels. Multiple variations are possible with a range of frame sections to fit the shutters either inside or on the face of the window reveal. Often tracked for use on patio or french doors, or for larger window areas, a mid rail helps to strenghten the frame, and gives the option to open or close top and bottom panels independently. 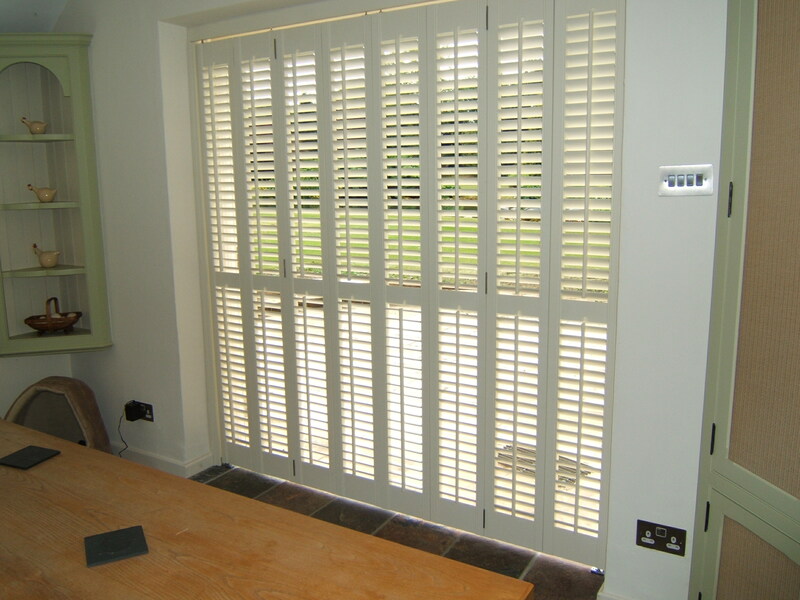 This style of shutter is ideal for ground level windows, and often used in bathrooms, kitchens and windows requiring a degree of privacy, usually installed to line up with a horizontal glazing bar. The panels can be hinged aside, or folded away from the window, a good choice where privacy and maximum light are essential. For maximum versatility, Tier on Tier shutters are the optimum choice, with the top and bottom tiers operating independent to each other. Acting as either full height shutters or bottom panels only as cafe` style, for maximum light and privacy. Four louvre sizes available, plus the option to custom paint the shutters in a Dulux or Farrow & Ball colour. 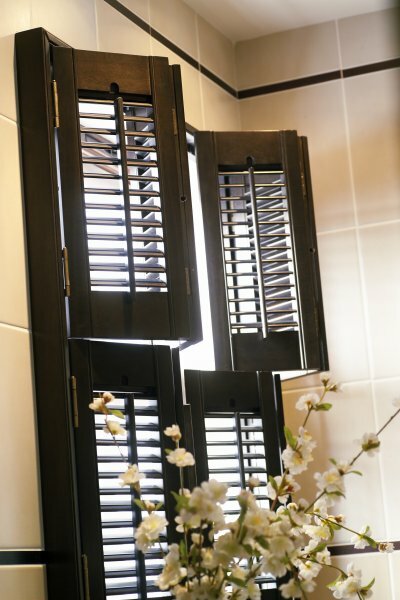 The versatility, quality and design of the shutters, allows for an amazing array of shapes to be manufactured, again with the choice of four louve sizes and custom paint finishes. 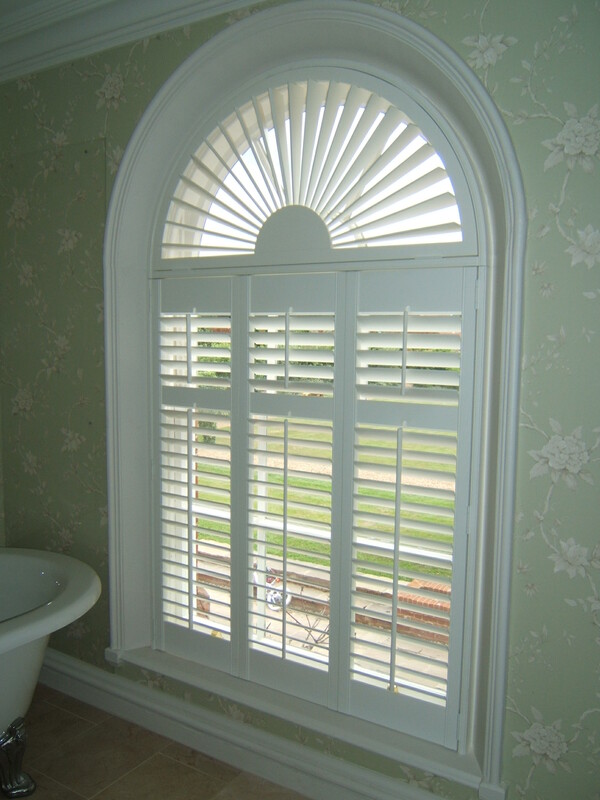 Shutters can be designed and engineered for arched top windows and doors, angled windows, triangular shapes, half round, circular, eyelid, quarter circle, trapezoid and more.